I had some leftover frozen popcorn chicken from the Chicken Parmesan Cupcakes I made a while back. 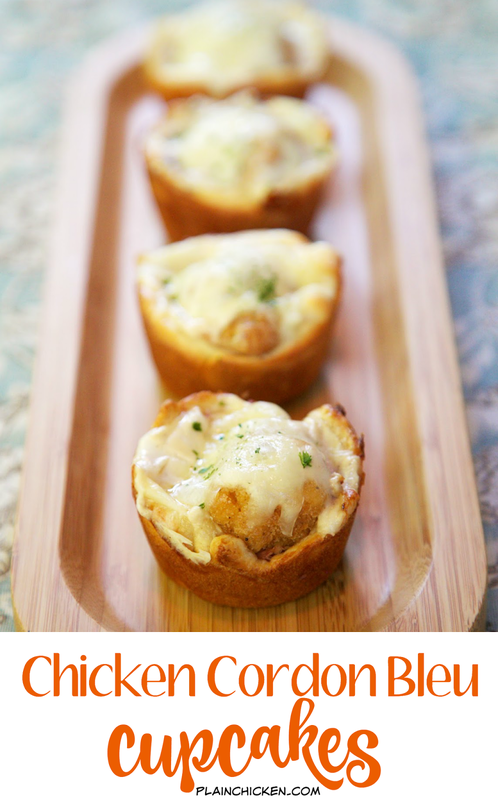 I started thinking of ways to use it up and came up with these Chicken Cordon Bleu Cupcakes. 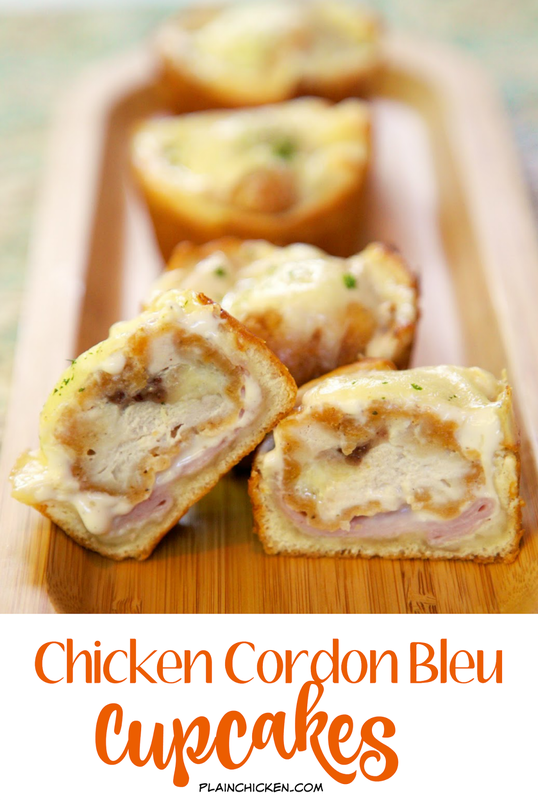 They have all the flavors of chicken cordon bleu without all the work. As with the Chicken Parmesan Cupcakes, I tried to use the bigger pieces in the bag for each cupcake. If I had a small piece, I used two pieces. I wanted to make sure there was lots of chicken in each cup. There is no need to heat the chicken up first. Just pop it in the muffin cup frozen and it will bake along with the dough. Serve these for lunch or dinner. They would also make a good tailgating snack! 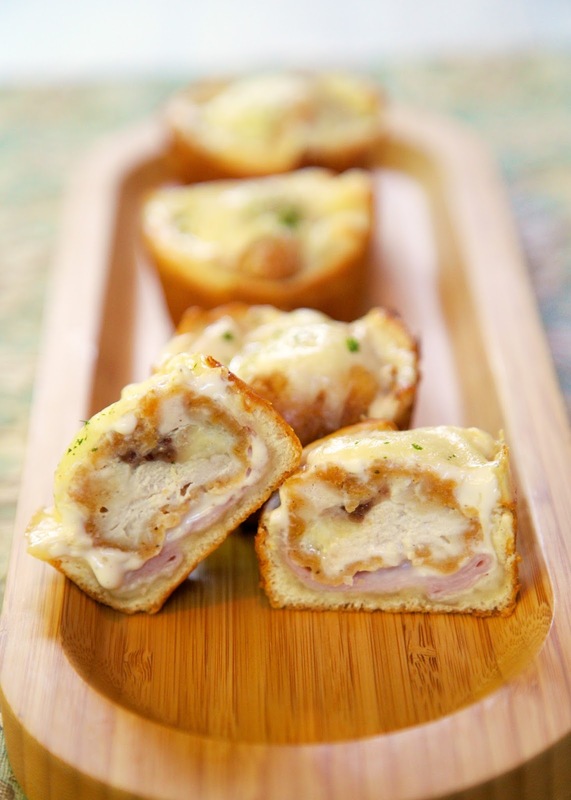 Place one slice of ham in the bottom of each muffin cup. Place chicken pieces on top of ham; top each piece of chicken with 2 tablespoons Alfredo sauce. Sprinkle with shredded swiss cheese. I like your creativity here Steph - they look very good. These look sooo good! What's your favorite "store bought" alfredo? I have trouble finding one that tastes decent. Thanks. Hey I see you have Mozz, listed but mention Swiss in the instructions. 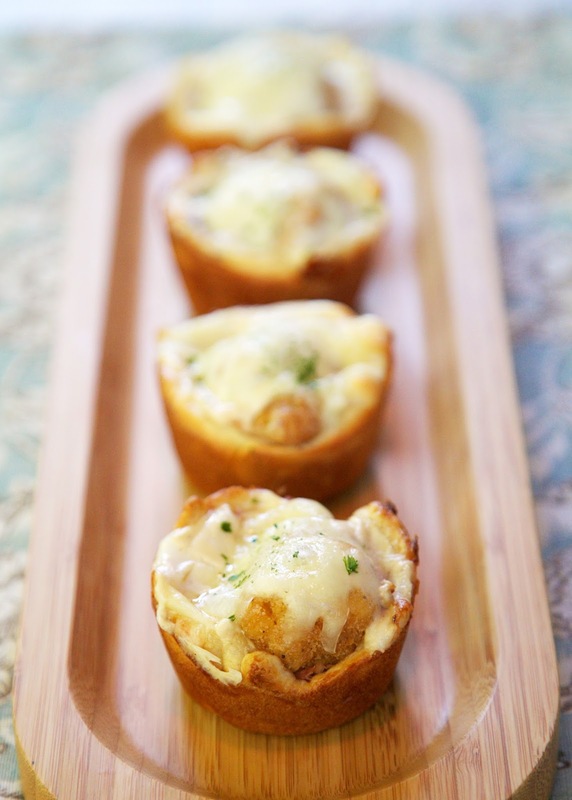 I'm assuming swiss, since that is more "cordon bleu" these look super fun...just waiting for your buffalo chicken cupcake post I'm sure you are working on one! I finally found the seamless crescent roll sheets at my Wal-Mart again. It'll make making these Saturday so much easier. Hi, I don't really know what is seamless crescent roll sheet?? We don't have such a thing in Australia. We have puff pastry or short crust pastry in our freezer but I'm not sure if this is the same thing. Any suggestions? ?